When most people hear the word “philosophy”, they are generally reminded of ancient Greeks like Aristotle or Socrates. Then again, some of the most commonly quoted (and misquoted) philosophy is much more modern. 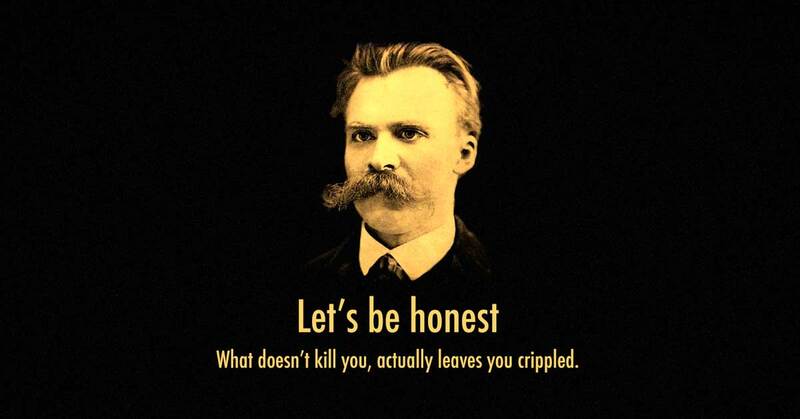 Take, for example, Friedrich Nietzsche. How many times have you heard someone say “hey, what doesn’t kill you makes you stronger”? That’s Nietzsche. According to the Internet Encyclopedia of Philosophy – the only peer reviewed source of its kind, “Nietzsche was a German philosopher, essayist, and cultural critic. His writings on truth, morality, language, aesthetics, cultural theory, history, nihilism, power, consciousness, and the meaning of existence have exerted an enormous influence on Western philosophy and intellectual history.” I personally have Nietzsche quotes all over my wall, becauseI love the perspective he takes on the human existence, and how we see the world through our own eyes.